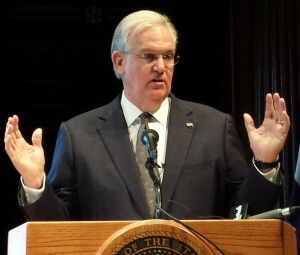 Governor Jay Nixon (D) has ordered that state agencies stop asking job applicants about their criminal history on their applications. Nixon issued an executive order telling all departments, agencies, and boards and commissions he has authority over to wait until later in the job application process to ask an applicant about his or her criminal background. The order does not apply to positions for which a criminal history would make an applicant specifically ineligible. It said the unemployment rate for Missourians on parole last year was 44-percent. Legislative proposals to “ban the box,” the common name for the issue, would enact similar changes in private businesses as well. A proposal sponsored by Senator Jamilah Nasheed (D) was referred to a committee in January but has not had a hearing.